Makes a smooth cup with slightly bolder notes when compared to the world famous Jamaican Blue Mountain peaberry coffee bean at a 3rd of the price. We promise this will quickly become your favorite coffee, yes it’s that good! Fantastic coffee, bought due to referral from friend who is a long time customer. This Peaberry coffee may be one of the best coffees I have ever had. Being an espresso drinker I rely on a high quality coffee cannot hide any weakness, such as bitterness or acidity. Great array of flavors of chocolate, berries & hints of citrus just like listed. Ordered medium roast and their espresso blend as well, will post those reviews as well. Will buy again…..
My husband is a huge coffee connoisseur, after buying him this Peaberry from Thailand he says he’s done searching. Every cup earns a huge “WOW”!!! 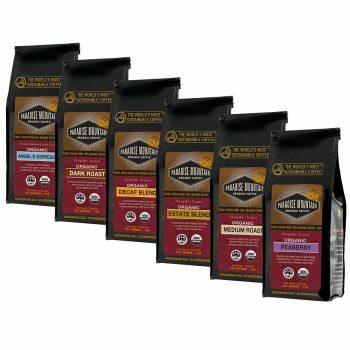 Perfect taste, balance & flavors, all the qualities diehard coffee drinkers seek. For me, it’s just the perfect coffee. Don’t be put off by the price, it’s better than Jamaican Blue Mountain & Hawaiian Kona at a 1/3rd of the price. This has quickly become my everyday coffee, that’s saying a lot since I live in Hawaii better known as Kona country. I have been drinking Kona for well over 15+ years and this Thai Peaberry from The Exotic Bean blows it away, not even close. Highly recommend!!! Peaberry coffee has become my favorite and I’ve been trying A LOT of different beans over the last year. Hands down, and with no hesitation, I can say these are the best I have ever tried. I use a French Press, and also cold brew, and it seems each brew is better than the last. The beans arrive freshly roasted, well packed, and quickly. I’ll be buying these beans as long as they are available. I have to admit Peaberry coffees are my favorite, most though are either way too expensive or just too bitter. A friend of mine told me about The Exotic Bean’s Thailand Peaberry so I decided to give it a try. First off their shipping department is downright fast. I placed the order, it was shipped out same day, it arrived two days later, WOW. Well when I first opened the box the smell was captivating to say the least, when I ground it, the smell was even better. Being an espresso guy I threw some into my espresso maker anxiously waiting to see if this coffee tasted as good as it smelled. Ha, that was an understatement, this is hands down the best Peaberry coffee I have ever tasted, it may quite possibly be the best coffee I have ever tasted. Full bodied taste, hints of citrus & chocolate just like the description states. I hurried up and ordered three more bags for fear of them raising the price. On average the other Peaberry coffees I have tried were all over $25.00+ per pound, this is a steal at this price. Highly recommend. I can honestly say this Peaberry coffee is the best tasting coffee I have ever so far…..being 65 years old, that is saying a lot. I loved this coffee as well as their medium roast. This peaberry had a complex and interesting flavor, well worth the price!!!! This Peaberry is an incredible coffee…I highly recommend it, great flavors, great taste, you wind up getting it over and over, yes it’s that good!!! Heard good reports from a friend about this companies Thai coffees so I gave them a try. When I first opened the box the smell was intoxicating could not wait to grind my first cup. Not only was this coffee exceptional I was upset that what I thought was good coffee before was not. Oh well, better late than never. Highly recommend!!! Awesome coffee, well worth the price, this sort of taste and quality does not come cheap. Honestly though this coffee is so good it may be priced too low. No worries I am not telling The Exotic Bean that! First time ordering from this company, a close coffee geek friend of mine highly recommended their Thai coffees. Unsure of what I would like I ordered three different coffees, Peaberry, Medium roast and their Angels Espresso. First impression, fast shipping and an absolute captivating smell as soon as I opened the box, I knew I was in for a treat. All three of these coffees were exceptional each in their own unique way. I will be a customer forever and will be telling the rest of my friends about this hidden gem, The Exotic Bean. This is the very best coffee I have had in many years. I grew up on Peet’s but over the years their taste and quality has fallen short. I tried a few east coast brands like Zeke’s, Brand X from Whole Foods, Counter Culture just to name a few, but they all fell miserably short borderline gross. 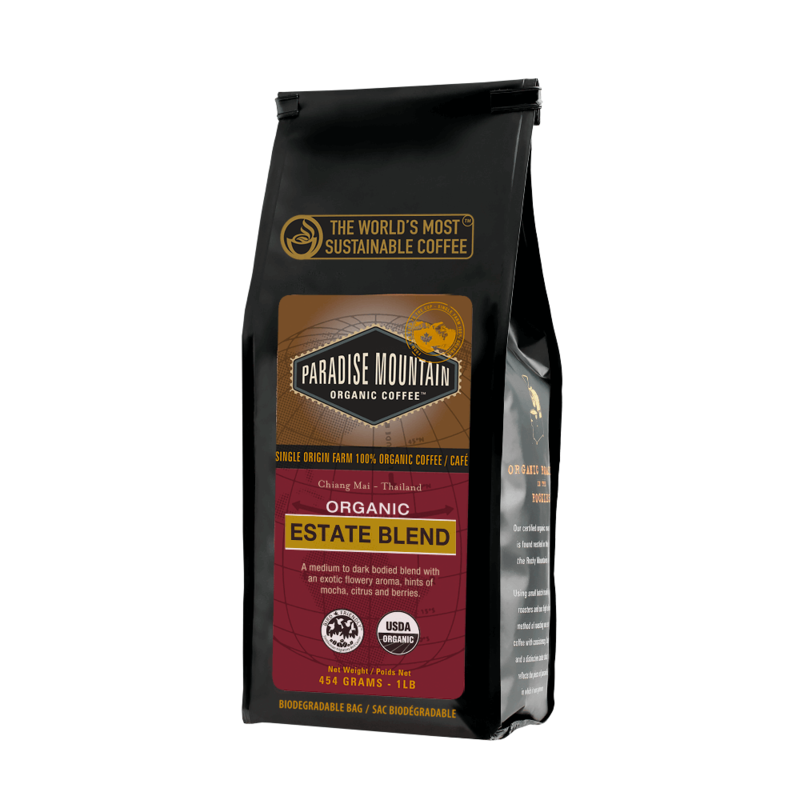 I have recently discovered the cure for my coffee woes, it’s called Paradise Mountain Peaberry coffee from Thailand. Thanks to The Exotic Bean I now have an extremely reliable, honest, high quality vendor to ensure delivery of the best coffee I have had in years. What else can be said about this coffee that prior reviews have not touched upon. This may be one of if not the best coffee I have ever brewed, yes it’s that good. Shipping was fast, very professional to deal with, highly recommend!!! Ok I went to Thailand in March and April had some Thai coffee on the road to Chang Rai. Wow it made me want more so when I returned home I found Mike and The Exotic Bean. I have tried peaberry from all over the world. I used to think Kona peaberry was it, the Blue Mountain peaberry , but The Exotic Bean’s Thai peaberry is all I drink now. Best coffee and service I have ever found, need I say more. Smells heavenly and tastes so flavorful, yet smooth without a hint of bitterness. I’ve tried many other smooth coffees on Amazon but they sometimes seem to have the flavor removed, but not this one. It blows you away with its array of flavors, between citrus and chocolate yet it still maintains it’s smoothness which is really important when yo drink your coffee black. Highly recommend, would give six stars. Great organic peaberry, very tasty, delightful ownership as well. The best coffee I have found on Amazon…..truly something special. I love the hints of citrus, well balanced, highly recommend. One of the best coffees that I have bought off of Amazon. Went to this companies website saved $1.00 per pound plus free shipping. If you like bold bitter Columbian, forget about this. If you like a subtle sweetness, full body and no bitter aftertaste, then you will love this. Truly something special, the fine wine of coffees!! Coffee from Thailand is not easy to find, I was thrilled to find it on Amazon, sold thru The Exotic Bean. This was my first time trying the Peaberry and I can honestly say it was a wonderful surprise. It has a unique flavor, different from all of the other coffees I have tried on Amazon. I can now honestly say this is now my favorite go to coffee. We use a French Press or Chemex at home and this coffee did not disappoint. Highly recommended!!!! This coffee was very good, very rich…worth every penny. Living in Hawaii I’ve been a fan of Kona peaberry for years, but I confess that this organic Thai Peaberry is much richer with a deep sweetness that seems too big for such a small package. I actually buy 2-3 a month from these guys!!! Wonderful coffee, smooth but very flavorful. Shipping was fast and free can’t beat that. I would definitely buy from The Exotic Bean again. The aroma of this coffee is wonderful in the morning, when I am wondering what in the world I am doing up so early. Smooth, full bodied….great way to start my day. Having lived in Chiang Mai, Thailand I knew they grow some really tasty coffee. It’s next to impossible to find in the US at a price this good. I was happy to find on Amazon, both their Peaberry & medium roast are excellent coffees, smooth, mellow (in a good sense) and complex. I am curious to try their dark roast now but I will order directly from them since the price is lower than Amazon. Coffee from Thailand is not easy to find and I was thrilled to find it on Amazon sold through The Exotic Bean. This was my first time trying the Peaberry and I can honestly say it was a wonderful surprise. It has a unique flavor, different from all the other coffees I have tried and I can now say one of my favorites. We use a French Press or Chimex at home and this coffee did not disappoint. I left Amazon and visited their website, bought the same coffee at a better price plus still got free shipping. I have to admit that Peaberry coffee is my favorite. I have bought numerous others from Amazon, some good, some not so good. As soon as I opened the box from The Exotic Bean the incredible smell of this coffee hit me. I knew I was in for something special. I immediately ground some & put it into my espresso maker, the first sip blew me away! I could not believe the wonderful taste of this coffee, it was like nothing I have ever had before. The next morning I invited my neighbor over to try some. She loved it so much she actually went home and ordered some herself. Do yourself a favor, order some of this coffee, you will not regret it!!! Having already been a fan of this companies Thai medium roast from a prior purchase I was anxious to try their new Peaberry offering. First impression, this is one fantastic tasting coffee. I consider myself somewhat of a coffee connoisseur, so I know excellent coffee when I drink it. This is probably one of the best tasting coffees I have ever tried. This coffee hits with a tasty full-bodied flavor with no harsh aftertaste. It’s been a very long time since I was excited about a new coffee.